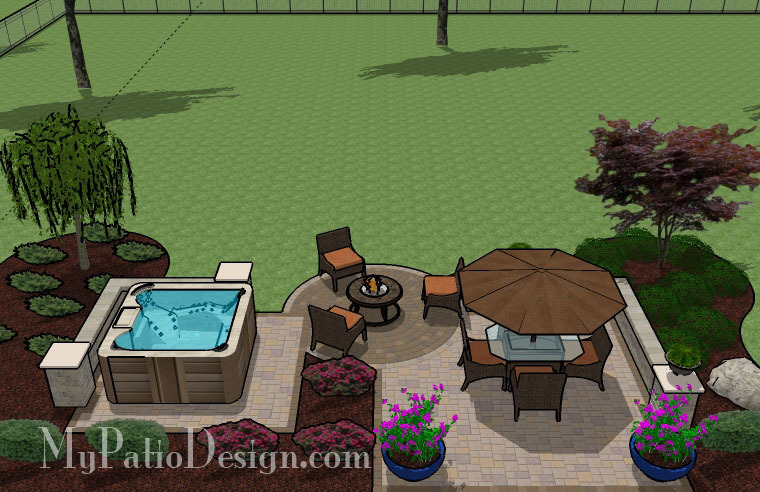 This 433 square foot patio is all about the hot tub. 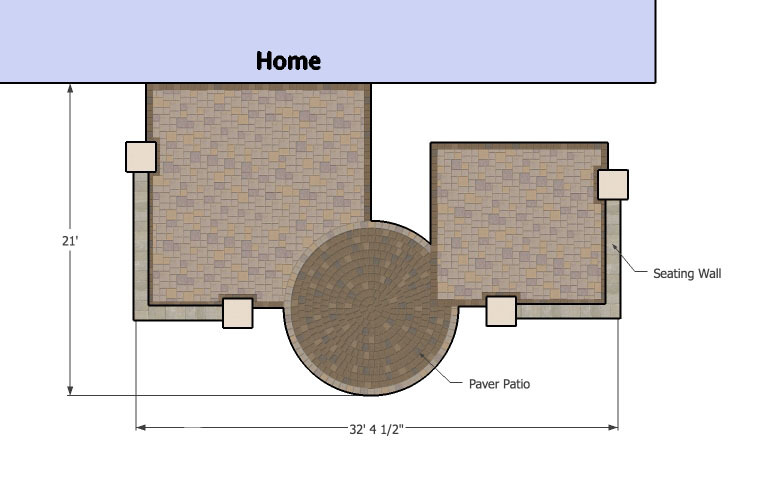 The two square patios are joined together by the circle patio. 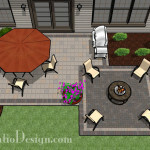 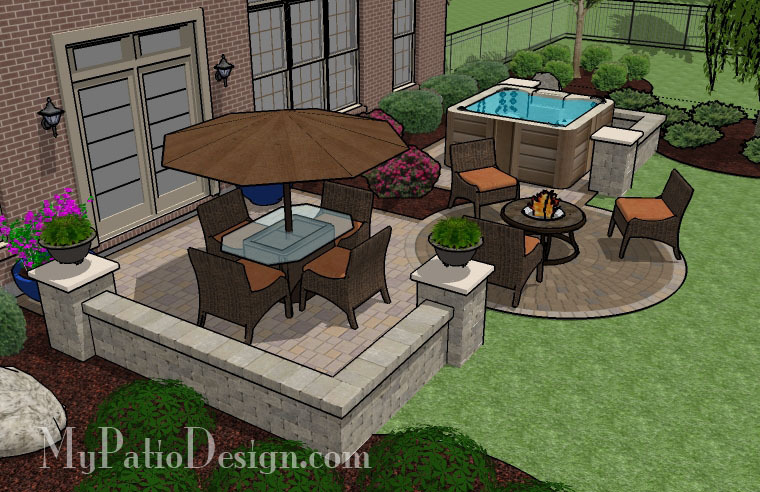 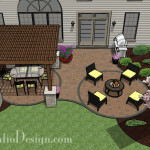 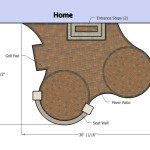 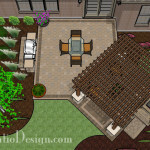 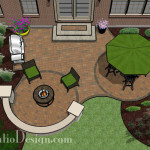 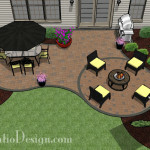 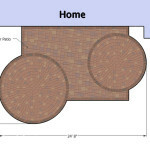 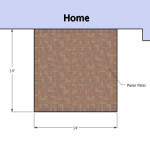 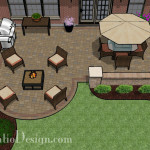 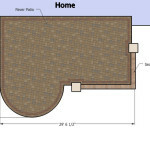 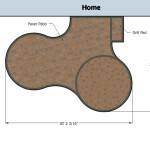 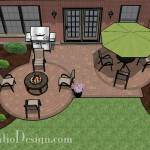 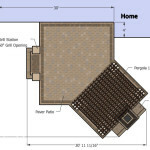 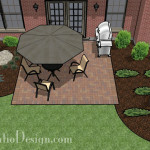 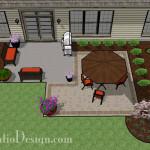 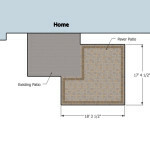 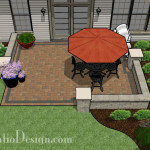 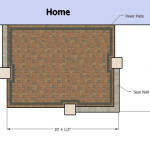 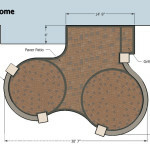 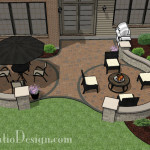 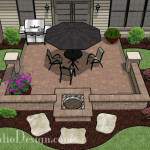 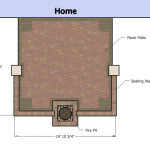 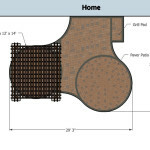 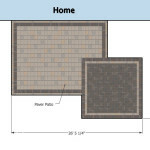 This patio designs also offers the ability to have two paver styles. 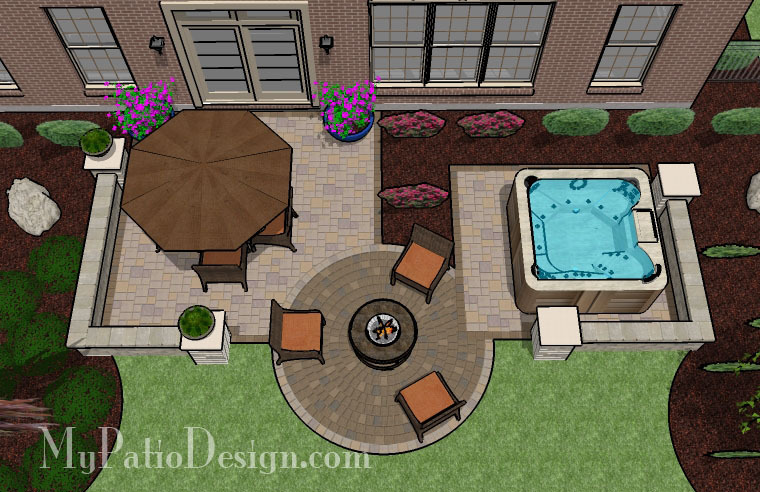 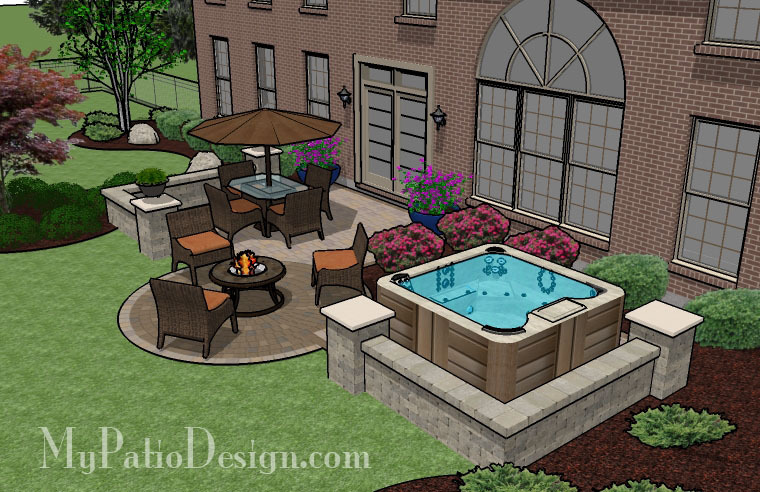 In addition to the hot tub, the patio has a fire pit and a dining table.